Elsa, TX -- Edcouch-Elsa vs Rio Grande City. EE, down 3 with .3 on the clock, inbounds to sophomore Christian Lira who does the almost impossible...a jump catch and shoot buzzer beating game tying three. EE went on to win 52-51 in overtime. Here's another view. Did you miss the opening night of the boys basketball playoffs? 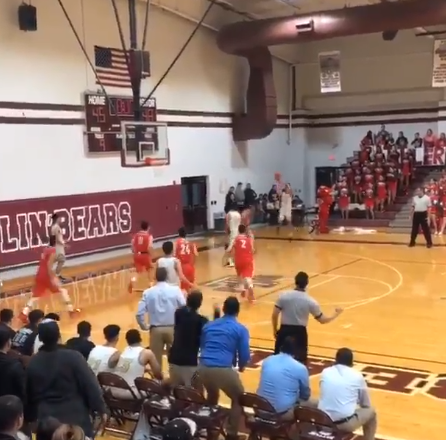 Here's video from Edcouch-Elsa vs Rio Grande City, including postgame sound from EE sophomore Christian Lira and EE junior Aaron Aguinaga.